Much has been written since the terrorist attacks and events of 9/11 and Islam, most from a secular perspective, but few have been written from a Biblical and spiritual one-until now. Thus, author David Jonsson pilots a journey with the reader through the early years of the dawn of Christianity and a detailed history of the Seven Churches of Asia Minor listed in the book of Revelation-and the Holy Spirit crafts the definitive work of our times. Although the author is certainly addressing the global Christian Church, and especially the persecuted Church in the world, his detailed and compelling study of the churches of Asia Minor in the first century eerily reflects where the Church in America is today as she deals with the multi-faceted war on terror, as well as builds a bridge to an era too many contemporary Christians are detached from. More than three years in creation, the author's experience and knowledge of Islam is founded in over thirty years first hand experience that started first in Saudi Arabia and continued with work in many Muslim countries in the Middle East, Africa and the Pacific, with memories of visits to Xingjang in western China and being awakened to the call to prayer. Still, this work goes further. I have stated that, since the 2004 Presidential elections and re-election of George Bush, the American led war on terror, the Evangelical Christian ascendancy in the American cultural arena, and myriad other factors playing out on the wider U.S. and global arena, the time has come during this short reprieve to finally focus hard and close on the foundational spiritual issues of why we are in this situation today, and to turn back to not only the principals of America's history and founding, but also defending the founding truths of Christianity. David Jonsson's life experience and work in "The Clash of Ideologies" is fitting for "such a time as this." Now is the time to move forward, and Jonsson takes the lead, in warning and encouraging the Christian Church in the face of militant Islam today. The Spirit-filled Church in Europe has all but ceased to be a cultural influence throughout that continent and Islam continues to make major inroads in changing the very face of European culture. Jonsson's Biblical, historical, and contemporary insights reveal why. Will the Church in America follow this same road of compromise? Inevitably, that decision will be ours, as the Lord's charge to the church in Sardis to "Be watchful, and strengthen the things which remain, that are ready to die: for I have not found thy works perfect before God," [Rev. 3:2] is more relevant than at any time in history. Then, into the bulk of this impressive work, Jonsson explores the life of the Apostle John, his ministry, the island of Patmos where the Christian Apocalypse (Greek for "revelation of divine mysteries") was first penned, and the persecution the early Church endured. What any reader should find fascinating is Jonsson's examination of apocalyptic Islam and its beliefs as well. Current events like the rise of Muktada al-Sadr, the "Mahdi Army" and Fallujah, Iraq, which U.S. Marines steam-rolled in the Iraq war, will take on a whole new meaning. Jonsson engages a detailed historical study of the Seven Churches of Asia Minor, each with their foundations, growth, and downfall. One proverb states in part, "...there is no new thing under the sun." (Eccl 1:9) The reader will find the early Church's challenges they encountered in the trade guilds, their business pressures, and social contacts reflected in our own times. More trade guilds existed in Thyatira than in any other Asian city of its time, and the Christian craftsmen faced the loss of their livelihood and financial resources in refraining from the pagan communal feasts. Likewise, today, the Christian west, and especially America under the influence of the disciples of globalism, faces crushing economic strain as the international demand for energy, to the same extent India and China continue to compete in the international marketplace for these resources, pressures American foreign policy to compromise with Arab "allies" who are bankrolling Islamist terrorism. We have seen this clearly demonstrated in our vacillating relationship with Israel. Jonsson touches on one modern-day incident in this global conflict I remember well, a May, 2004, Islamist terror rampage in the Saudi town of Khobar, at the luxury Oasis Residential Resorts compound, ending in the deaths of twenty-two people, with twenty-five injured. I remember it well because when the news account was posted at FreeRepublic.com, some of the commentary by the forum troubled me as people were trying to justify what the Christian did. People were having a hard time grasping that the individual had indeed denied the Lord to save his own life. It is still foreign to Christians, especially in America, the harsh reality of their fellow Christians dying today at the hands of unbelievers as they once again refuse to kneel to any but Jesus Christ as Lord. What's more, Jonsson does the exceptional work of an evangelist. Contemporary Christianity has been sidetracked with a secular humanist influence and debate over whether "Islam is a religion of peace" instead of if it is the truth; being pressured into a worldly, Post-modernist tolerance of religious pluralism and moral relativism, instead of lifting up the Word of God and the Gospel, to strengthen Christian culture in the face of the Islamic threat. This has, up till now, attenuated the work of the Holy Spirit to reach out to a fallen and violent world and engage in a witness to Muslims worldwide, challenging those who are in the grip of this error. Jonsson's extensive discourse on the love of God-Allah and the God of the Bible compared-and the free relationship with Him offered through the sacrifice of Jesus Christ is another aspect of this extensive and rich work. I would firmly encourage anyone who might be intimidated by the magnitude of "The Clash of Ideologies" not to retreat from it. The Lord has stated, "My people are destroyed for lack of knowledge..." (Hosea 4:6) Numerous well known Evangelical Christian leaders have lamented the need of a Biblical worldview in many young people today. Jonsson's analysis of ancient Church history in light of present-day times and the challenges this nation is facing will do much to alleviate that. 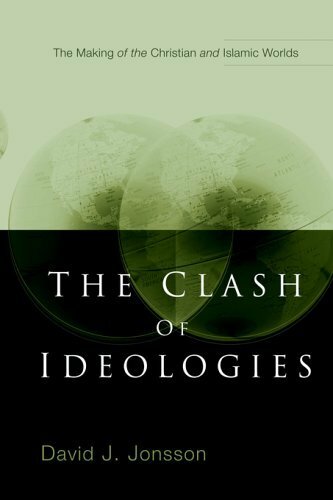 "Clash of Ideologies" is author David Jonsson's first publishing effort of this type, but after reading through his book, going over the bulk of it again, and in private correspondence in recent weeks, I'm seeing whole new insights into the Arab/Muslim worldview that the more well known experts and writers mainstream Christian/Western culture have come to have a high regard for are completely void of. His life experience, Christian background, and ability as a communicator, make him an extraordinary individual for our times. I am convinced he will soon become one of the premier Christian academics that anyone, whether ordinary citizen, Pastor or church teacher, business leader, or politician, can rely on. It was Defense Secretary Donald H. Rumsfeld who said, "We are in a war of ideas, as well as a global war on terror...." Still, many in Western leadership are nonetheless loathe to acknowledge this conflict is ultimately "religious" and spiritual, in that intangible arena where the truth and error clash, falling or prevailing-and much at stake for the future.
" in patience, wisdom, and love [II Cor. 5:11]. The truths in the letters to the Seven Churches in Revelation still stand today, and David Jonsson's masterwork in "The Clash of Ideologies" reiterates again acknowledging and understanding the superiority of the Biblical ideas of our Judeo/Christian worldview, the necessity in strengthening of the Spirit-filled Church, and the continued effective proclamation of the Gospel of Jesus Christ to a lost and dying world. David J. Jonsson, "The Clash of Ideologies"
October 5, 2005, speech on Islamic terrorism. All personal commentary articles copyright © 1996-2005 Salem The Soldier's Homepage. Full reprint with written permission only, except for the inclusion of brief quotations in a review or article. This material is copyrighted to prevent altering or reproducing for profit. 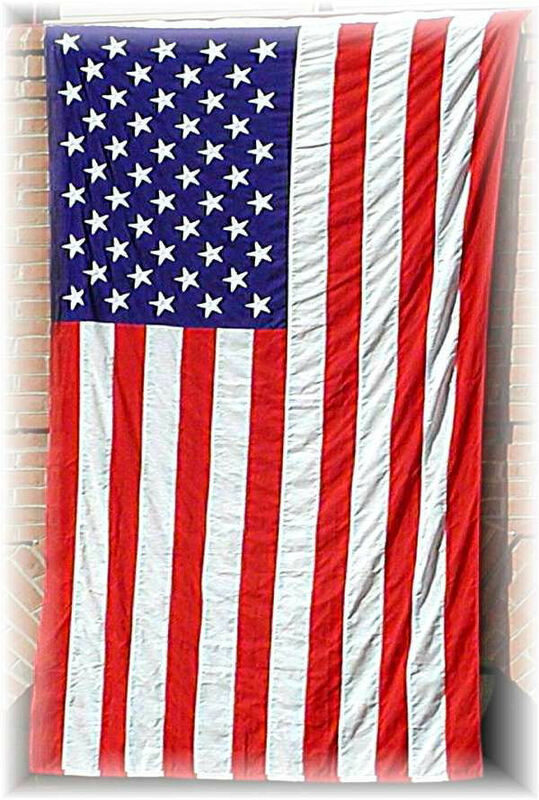 Permission is granted to the reader to forward all writings from "Salem the Soldier's Homepage/Michael A. Baker," without altering, to friends, groups or other ministries or to copy for similar or personal use.